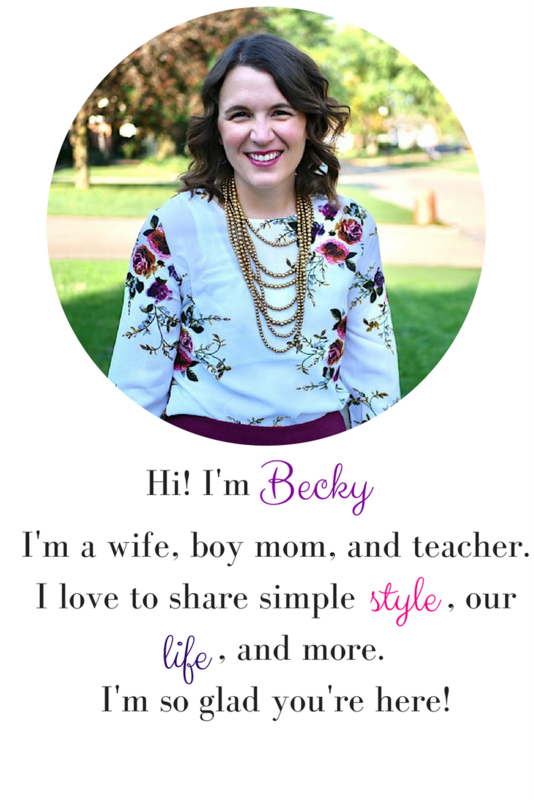 Welcome to the How I Style It Monthly Link Up! This week, we're all about the maxi! Be it a skirt or dress, maxis are awesome! Maxi skirts are one of my favorite summer pieces. For one, they are stretchy, so they pretty much always fit. Two, You can find them in fun patterns or basic solids. Three, they are comfy as all get out! Four, I was able to wear it while pregnant! Last summer, I participated in a Summer Remix Challenge, and the maxi below was one of the 30 pieces I chose to remix. Today I'm sharing four ways I've worn this maxi. 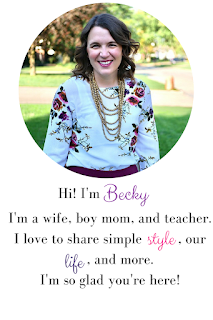 Enjoy and check out the other ladies linking up with their maxi (skirts or dresses) today! Basic tee and chambray - I'm excited to rock this look again this summer so the chambray can camouflage a little of my post-baby tummy. Basic tee and coordinating necklace - I believe a simple gray tee is a MUST in all women's wardrobes. It goes with just about anything. I pulled the pink from the skirt in my choice of necklace to tie it all together. Basic tank and statement necklace - the tank is a color pulled from the skirt, and the necklace adds a little dress-up factor to this outfit. Perfect for going out on a summer night in my opinion! Pair with a graphic tee - this pairing is a little unexpected and not quite matchy-matchy like the others, but the orange in the tee goes along with the skirt and it adds a super casual flair to the skirt. This would be a perfect lazy summer day outfit! Next month, we're partying again on June 10th. The focus will be a basic tee! You know you can totally style that! Hope you'll join us again! Now it's your turn! 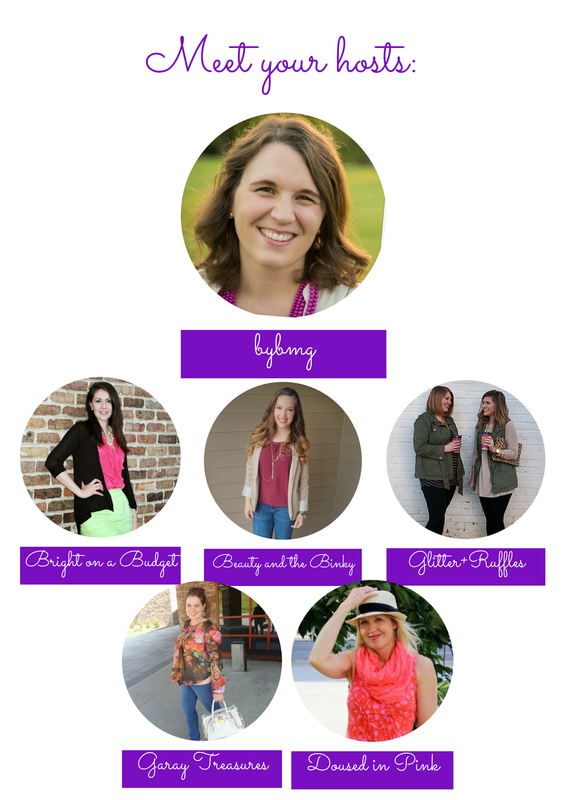 Link up or hop around to some other wonderful blogs to get some fabulous ideas!